The cat came back. Not the very next day, but it did come back. They thought he was a goner. It all happened after we wrote about a $30 security camera called “Wyze Pan Cam,” The price was right, so they bought it. 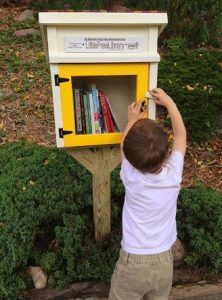 The reader wrote to say that she and her husband put one in their open garage to see if they could find out where the cat went. “It took over a week, but we finally saw our beloved kitty,” she said. “He is coming regularly now. He was a feral (wild) cat to begin with, so it will take time to get him back inside, but you have no idea how helpful this is for our emotional well-being. 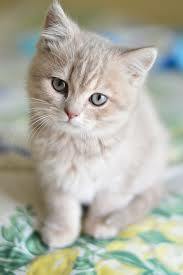 Without a camera, we still wouldn’t know his whereabouts, or if he was even alive.” And a week later, she wrote to say “the cat came back.” They named it “Tater Bug.” No explanation. Several readers wrote after we suggested that an iPhone 6 or an iPhone SE would be a good choice for someone’s first smart phone if they wanted an Apple product. Some wanted to know where they could get an SE, which came out in 2016, is waterproof and costs around $160. That’s a thousand dollars less than today’s top model. 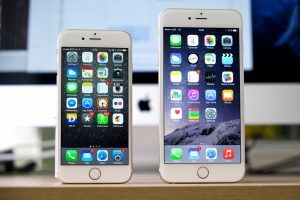 To find a low-priced iPhone SE, go to Amazon.com or eBay.com and search on “iPhone SE.” You’ll see two kinds. That’s because there are two types of cell phone services. One is GSM, which stand for Global System for Mobile communications and is the most widely used standard. The other is CDMA, which stand for Code Division Mobile Access. AT&T and T-Mobile are two popular GSM services. We saw compatible iPhone 6 and iPhone SE models for $140. If you use Verizon or U.S. Cellular as a service carrier, a compatible iPhone SE tends to be more expensive, and harder to find. All these deals are so-called “refurbished” or “renewed” phones. In either case, it means the product has been inspected and tested by qualified suppliers to work and look like new. It comes with a minimum 90-day supplier-backed warranty. The number of these available at any one time of course fluctuates, and so do the prices. As colleague of ours once put it: “Some days you in Frisco sippin’ wine, other days you in Fresno stompin’ grapes. Speaking of refurbished phones, as soon as the iPhone 8 came out, the price of the iPhone 7 dropped and refurbished models came out for $399, around half price. Now that the iPhone XS is out, the price of the iPhone 8 has dropped from $699 to $600 if you get a refurbished model. Further drops on the horizon. We wrote about Republic Wireless a couple years ago, and it looks like it’s come a long way since then. You can get unlimited talk and text and a gigabyte of data for only $20 a month. There has been talk of calls getting dropped, so you should check to make sure you’re firmly in their coverage area. However, the company gets praise for being very responsive through its website and email system. Another criticism of Republic Wireless has been the limited choice of compatible phones. Most are from Motorola or Samsung. But these are great choices. The new Moto e5 Play is $129 and the Samsung J3 is $130 on Amazon. 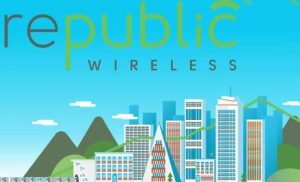 For a comprehensive look at the Republic Wireless service, read the review from TomsGuide.com. Whenever you choose a budget phone, you’ll find critics who focus on technical details. But they’re fine if you don’t have to have the longest battery life, the greatest camera or the fastest processor on the block. We would love to hear from readers about their experiences with less expensive phones. If you find smart phones confusing, there’s nothing like an old-fashioned operator. And how about a trained nurse or doctor? You might consider GreatCall. They have a simplified smart phone. The premium service with all those potential human helpers is $75 a month, and comes with unlimited texting and calling. (The basic service is $42 a month.) The agents who take your call are trained in emergency procedures. We tried out their flip phone, called the Jitterbug, and it was great. An operator looked up phone numbers for us and added them to our contact list. She also helped us find our rental car agency when we were running late getting a car returned to an airport and it was pouring rain. “27 Facts That Will Make You Question Your Existence.” Search on that phrase to find a four-minute video, with amazing comparisons, like our tiny earth next to the sun, or the view of the sun from Mars. Or Earth shrunk down to a quarter next to a Milky Way Galaxy the size of the United States, using the same scale. We didn’t question our existence, but it was mildly interesting. Supercook.com. You check off the ingredients you have, it offers recipes. Bob says you never need a recipe, but Joy loves them.